Industrial meets elegance with this look, mixing modern elements with timeless vintage vibes. 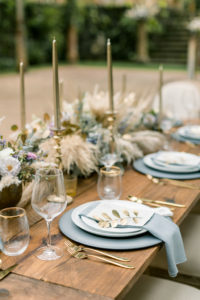 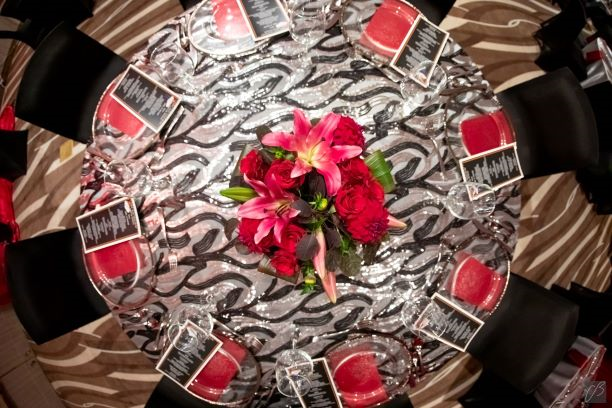 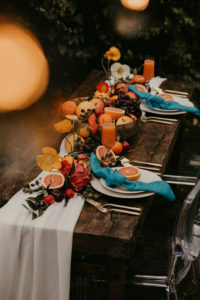 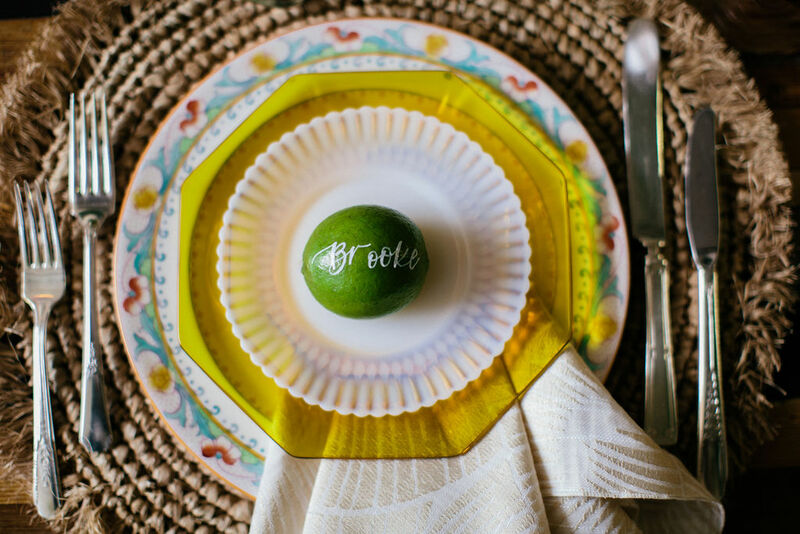 When designing your tablescape to this trend get inspired by metallic coated jacquards, sequins, and geometric and abstract printed linens. 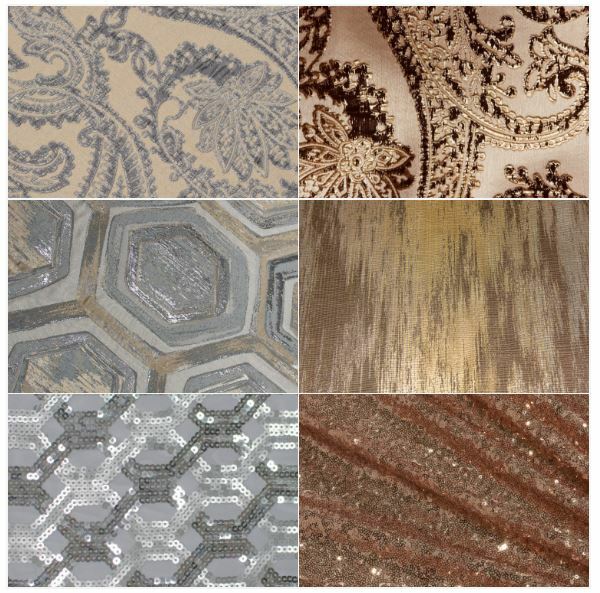 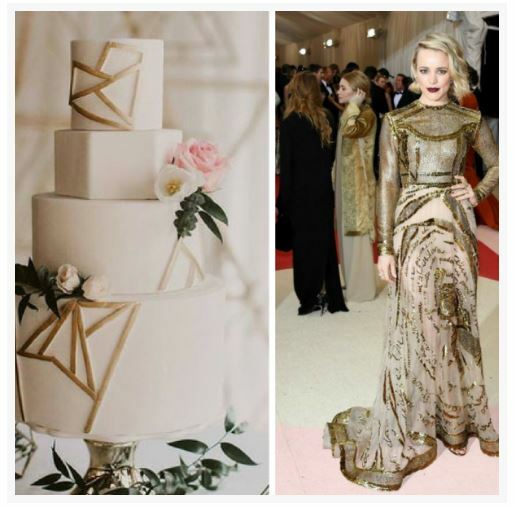 A modern and neutral palette of rose gold, platinum, and copper is sure to surprise. 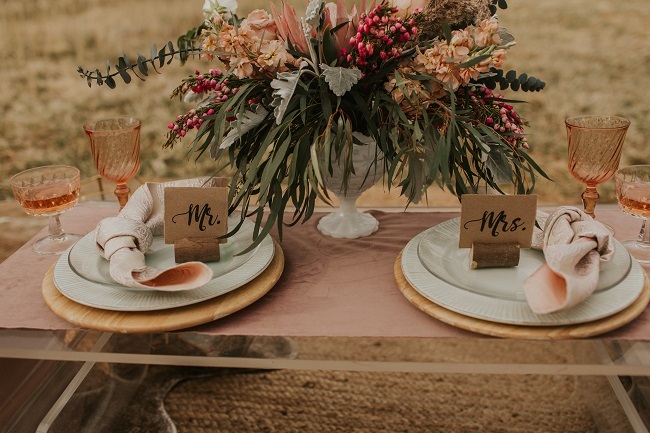 These color combinations pair beautifully with lush floral arrangements and shine effortlessly in natural light. 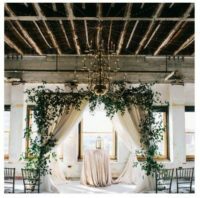 A historic venue, such as an old warehouse, library or museum will help capture the old world charm that is so important to this theme. 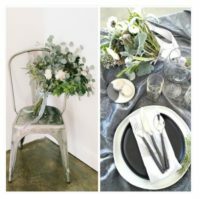 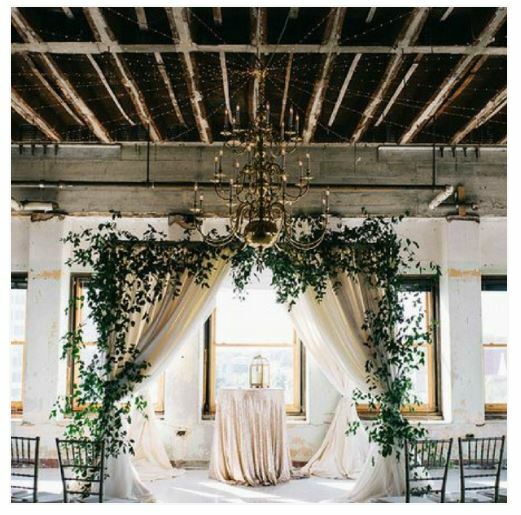 Or, if you already have a venue selected, create the look with deconstructed accent decor such as metal, wood, concrete, marble, and glass!